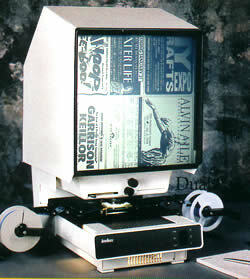 The small 4603-04 is an excellent compact reader for viewing both Source and COM images at 3/4 of their original size. Handy pull-out electrical drawer for easy access to lamp. Optional 12v DC power cord and vehicle mount makes the 4603-04 ideal for engineers on the road. Optional dual fiche carrier to make comparison of information on two fiche easy. 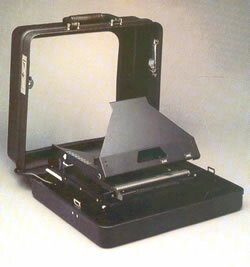 BRIEFCASE READER - Fiche/Jackets/AP Cards - Dual Lens Facility. 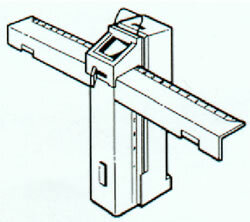 FULL COM, FULL SOURCE - SINGLE OR DUAL LENS - GREY - Image rotation (on 24x lens only), optional manual or motorised carriers. 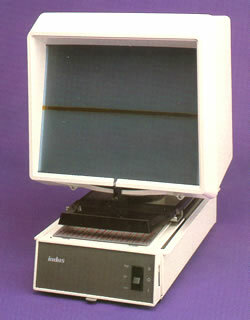 Front projection viewing for "Easy Read". 3/4 COM, FULL SOURCE - SINGLE OR DUAL LENS - GREY - Image Rotation - Choice of manual and motorised open roll and cartridge/C-Clip carriers - Plastic and Metal construction. 24x Viewer with built-in light source - own carrying case - can work on vehicle adaptor. 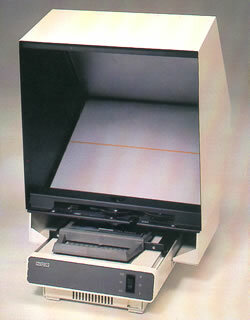 Comes with 3 indexing scales for 98, 208 and 270 page image microfiche. If you have any questions or if you would like to discuss anything further please do not hesitate to contact us. The Microfilm Shop manufacturers and distributes the widest range of microfilm and microfiche consumables and equipment available in the world. How much personal GDPR information is being held on your microfilms?